The much awaited Chrome update is here with several new features. 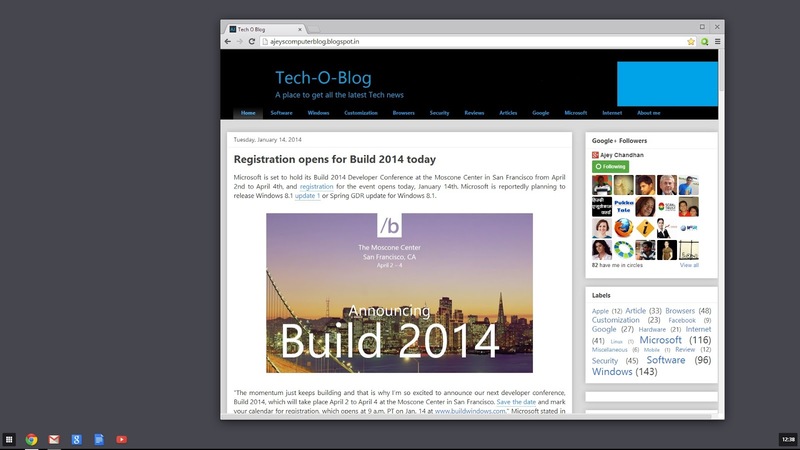 Chrome 32 brings the aura UI to Windows. It also brings noisy tabs which shows the tabs which are making noise.You can now track down noisy tabs: You can now visually scan your tabs for a speaker icon to quickly find the ones singing in the background. You’ll also be able to see which tabs are currently using your webcam or are being cast to your TV. Chrome on Metro mode in Windows 8.x gets a new interface which looks like the Chrome OS. Google has successfully ported their OS into Windows 8 without any problems. Google writes "Chrome on Windows 8 “Metro” mode gets a new look: Manage multiple Chrome windows and quickly get to your favorite Chrome Apps with an integrated app launcher. On the desktop, we’ve updated the default styling of UI elements like form controls and scrollbars to match the sleek design of the new Chrome Metro interface." Other features include improved safe browsing which blocks the download if the file is found malicious.You can read more about the newest update in official blog of Google chrome.